Taking part in a volunteering experience is an exciting and valuable choice, no matter what kind of volunteering experience you go for, despite the place or length of the opportunity, and despite the facilities you take advantage of. This is because volunteering is the result of a strong and authentic motivation that drives our actions as individuals, and the best achievement of volunteering is the experience itself. What does it mean to be a volunteer? Why does it worth to go for such an experience? In the given-gain balance, who wins? 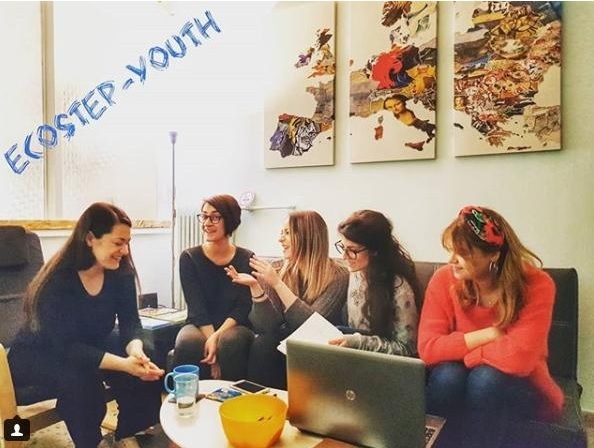 Those were just some of the questions that occurred when preparing my speech as a volunteer benefitting from a European Volunteering Service (EVS) experience within an info event on the opportunities offered by Erasmus+ programme of the European Union. 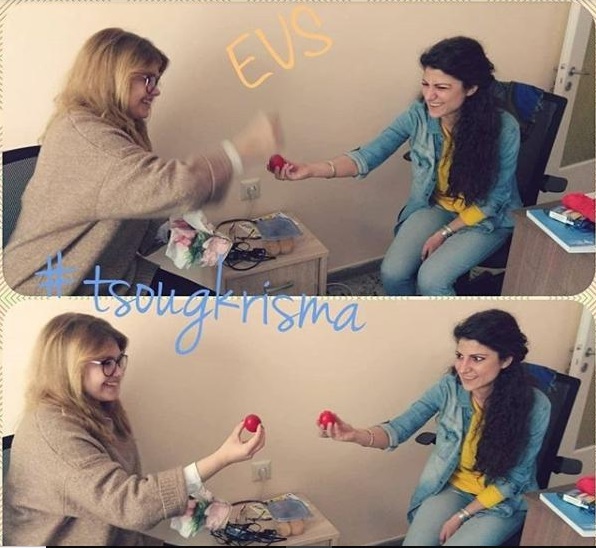 My name is Elena, I come from Italy, and I have been in living in Patras, Greece, for 3 months already for a 6-monts volunteering experience with EVS, and I had no complicate answers or philosophical thoughts to respond to these questions, because the beauty of this experience is the experience itself. A EVS is a valuable learning opportunity, that has its positive effects on both professional and personal level. Professionally speaking, we should start from the very beginning: the fields and topics you are passionate about. 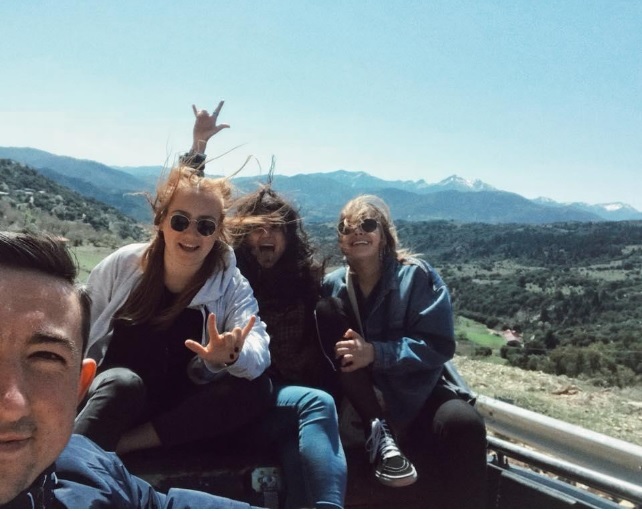 In fact, while applying for a volunteering opportunity, we often think we should start by considering our geographical preferences, but for the opportunity to be extremely useful for our professional development we should consider our field of interest first. This is how you take the chance to improve your skills for your future career, or you take the chance to run activities you are simply passionate about and that in your previous career you didn’t have the opportunity to work on. 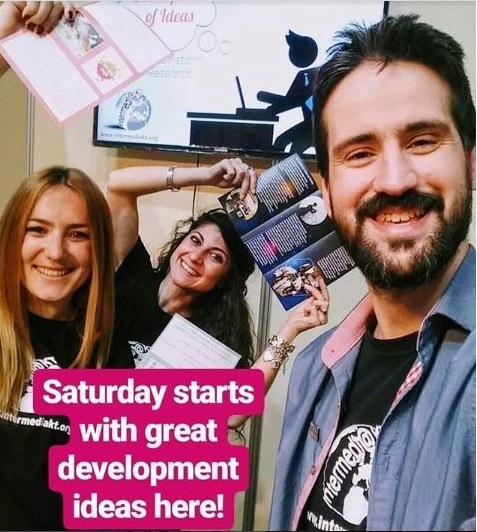 That’s why I am volunteering for InterMediaKT, an organisation working at the international level on knowledge transfer through media and technology on several topics, such as environmental protection, entrepreneurship, inclusion of disadvantaged groups, and non-formal education training. 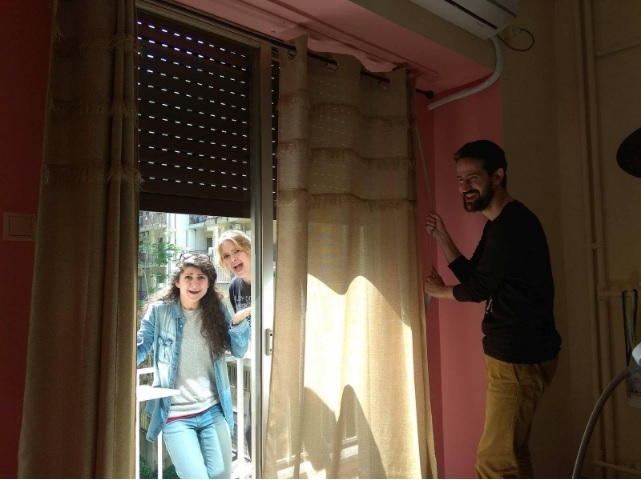 This opportunity is offered by the project GREAT (Give, Reinforce, Create Art & Technology), a long-term EVS project designed and implemented by InterMediaKT (the Greek hosting organisation) and Futuro Digitale (the sending organisation). 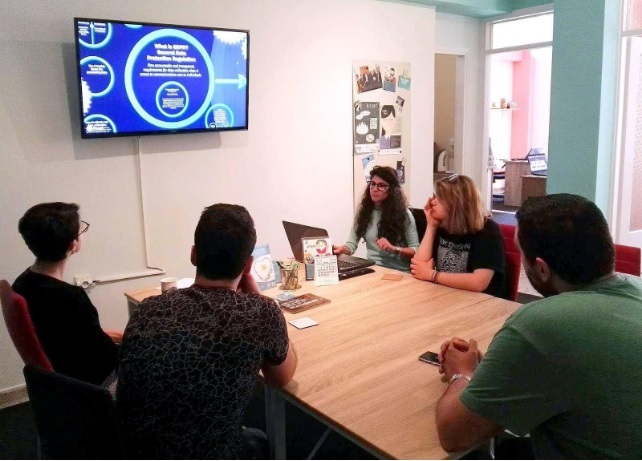 Here I have the occasion to apply my knowledge and skills gathered in the past as a Communication Officer, and have also the chance to foster my competences with new tools and methods. For volunteers that are still university students, an EVS can also represent the first chance to approach the professional environment, facing work in a smoother way and collecting skills that will help their upcoming career. As for the growth on the personal point of view, according to me getting out of the comfort zone is always enriching. It is important to get in touch with a new culture, to live in a new country, to deal with a new language. It is of course attracting and sometimes challenging! But what is cool is that, often, getting out of your comfort zone also means to get in a simply new comfort zone! This is what happened to me. I found an inspiring working environment, amazing buddies helping out with any kind of issues, new friends, new families, new discoveries. I helped myself with some pictures to share some professional and personal moments of this experience, so far. Brainstorming moment in the office with colleagues and other volunteers. Experiencing the involvement in EU projects, fostering creativity and exchanging on Upcycling good practices. GDPR – The challenge of the month. Presenting to the whole team the strategy drafted for the organisation. A great occasion to get personally and directly involved in a crucial task, from the research phase to the implementation. Soft skills training – From the draft to the implementation of the activities. 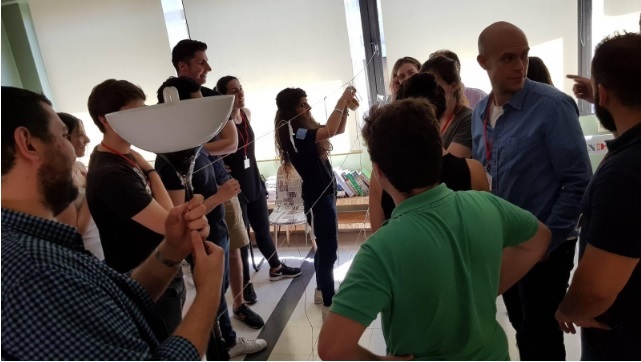 A great occasion to put in practice the skills gathered in the previous years as a trainer with non-formal education activities. Patras IQ Expo! Here we are with the new leaflet of InterMediaKT, created through the great cooperation in between the two EVS volunteers hosted by the organisation! From the draft of contents to the graphic design – a new identity for an even more international group! Work is also fun when you land in an amazing working environment! Time for pranks during the coffee break! 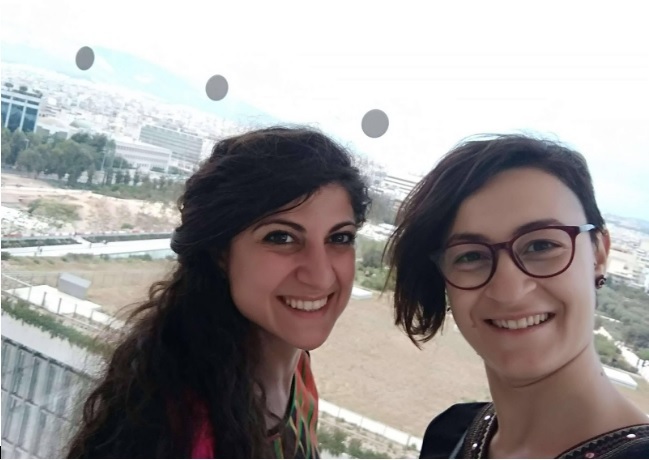 Travelling around Greece with the colleagues – My tutor Antonela and me, from Athens with love. 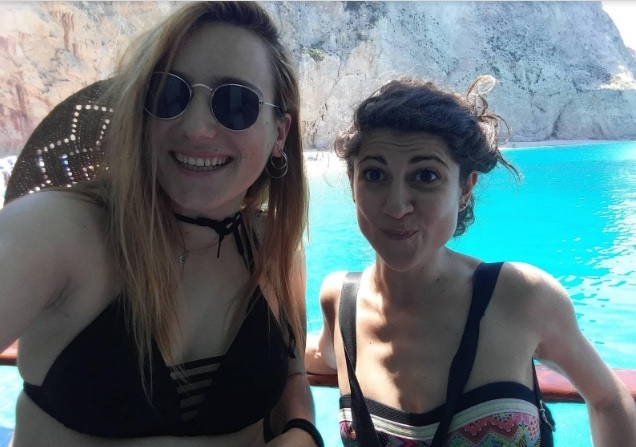 Summer in Greece means also sea adventures! This is the moment I discovered that in Greek there is a dedicated word to indicate the colour of the sea: “γαλάζιο”! Trips in the nature by car (precisely in its trolley)! Experiencing wild-life experiences with the new friends and their families. 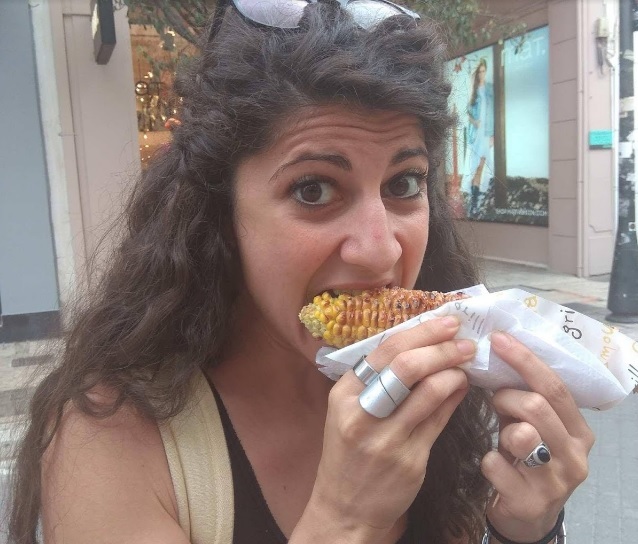 Weird but real – also smallest things can be a great discovery – my first time tasting a baked corn, yes!